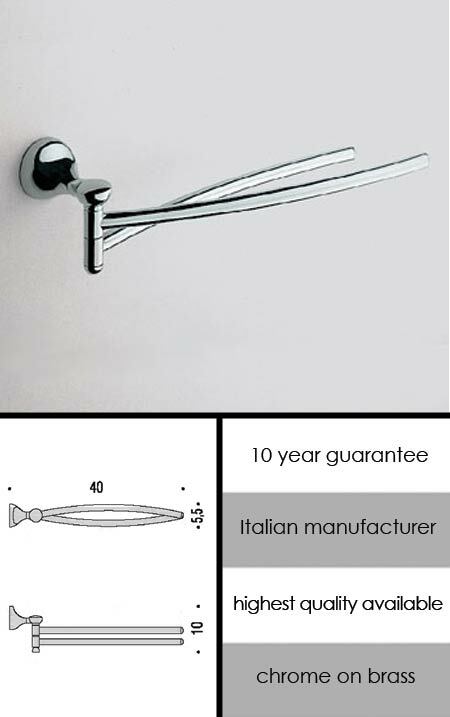 A designer chrome towel rail with 2 finger towel hangers that are adjustable for easy towel hanging. This twin finger towel rail is part of a contemporary bathroom accessories collection that is considered the best quality in the UK. We have been selling this collection for nearly ten years and have never had a quality or corrosion warranty claim. * Best quality accessories in UK. * Towel rail 400mm long.